Kenosha County Sheriff David Beth hosted a fantastic day on the links at his annual golf tourney at Twin Lakes Country Club! Enjoying great food, drinks, and prizes, 18 holes of fun awaited our generous golfers, and everyone had a great time! Ready to lead all of Kenosha County's finest into his next term, Dave is so appreciative of all of your support...and so are we! We enjoyed a wonderful Saturday on the shores of Lake Michigan with Anchor Fitness at the Racine Yacht Club! The hard working crew from Anchor pushed hard and fast in the annual Lighthouse Run in the morning. Afterwards, we all chilled by the waterside with cold drinks, great grub, and cool tunes. Our second show with Anchor Fitness was even better than the first, and we look forward to working with them again in the near future. Get Your Mind Right, baby! Racine's 2010 Relay For Life was not only a great success, it was downright historic! 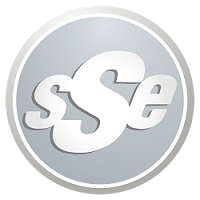 SSE provided the music, MC, and entertainment for the 11th straight year, playing from 2pm on Friday, straight thru until 10:30am on Saturday. That's over 20 hours of tunes! Zumba got our blood pumping and the crowd sweating on Friday evening...not that we needed the help! Near record-breaking heat and humidity provided a challenge for many participants, but everyone soldiered on to raise over $205,000 in the fight against cancer. Celebrating, Remembering, and Fighting Back is what Relay is all about, and we're proud to be part of this very special event. Walk On! We had so much fun over the weekend, we kept the show rolling into Monday night! SSE was pumped to help close out another successful school year with the 8th graders from The Prairie School, and their end-of-year Hula Blast! Congrats on a super year guys, we'll see ya soon! Our second Live Event on Saturday saw us return to the friendly confines of Racine's Roma Lodge! Our bride and groom had a few afternoon showers to contend with, but it didn't stop them from having a phenomenal blast! As usual, the staff at Roma kept us happy, and the wedding party and guests kept the dance floor full all night long. Congrats again to Brandon and Lindsay! We had a fun time kicking off this summer's "Saturday Safari's" at the Racine Zoo! Julie the Patas Monkey was celebrating her 28th Birthday, and she wanted SSE to come out the spin the tunes for her big bash! The kids had a great time with their passports, face painting, crafts, birthday cake, and hula hoops...we all enjoyed the beautiful weather and festivities. We'll be celebrating at the zoo in a few short weeks, our next bash there is coming up on July 3rd!